I run a Kanotix 2005-04 and I am totally complacent to update until a next major release. Does anyone know how to run a Quickcam USB cam on this classic model? I'd like to use the cam primarily for Skype video, but its not the hardware or the particular application that causes the problem as far as I understand, but video input in general, probably affecting more or less any camera hardware that I might try. The cam I have is combined with a microphone and the microphone works, so at least the sound-in part of the hardware is OK. In fact, the cam-input worked once on an earlier Kanotix but I cannot remember how it was done. The camera works in Windows, meaning the cam part of the hardware should also be OK.
Or when trying to open the video device in the CamStream application, there are no devices to choose from. Similar symptoms applies to the Skype: Video devices -> options -> selection menu [No devices Found]. Perhaps a special driver is needed, although I guess the existing qc-usb-source should be all I need? 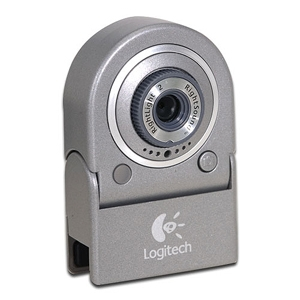 The particular cam is called QuickCam Logitech Deluxe, no model number exists as far as I can find. Has anyone managed to get this particular cam working? The output of uname and usb information are included below. The Logitech device is indeed found to be plugged in. Are there any old Kanotix fix script that might help? Bus 001 Device 010: ID 046d:08d8 Logitech, Inc. Please use a newer version with a 2.6.28 kernel. I just tested 2007 RC7 and the live CD won't even boot on my notebook for some reason. I guess updating only the kernel is a complex procedure, so I think I'll wait for the next major Kanotix release before upgrading anything else.